AS the world celebrates the centenary of the International Labour Organisation, with events that began on Jan 9 and that will end on March 13, this is an appropriate time for Pakistan to ponder the question of how far it has enabled its workers to enjoy the benefits of standards for their rights set by this agency of the United Nations. Human rights activists in developing countries treat ILO conventions as human rights standards that were defined earlier than the Universal Declaration of Human Rights. With its slogan of social justice as a prerequisite to peace and progress, the ILO has made a sterling contribution towards creating an order based on respect for the rights of all members of the human family. The first generation of ILO conventions adopted under the aegis of the League of Nations survived the latter’s demise. The organisation received a boost from a reorientation of its goals at the Philadelphia Conference in 1944 when the prospect of victory impelled the Allies to acknowledge the aspirations of the colonised peoples for self-determination and of the workers for a better return on their labour. Later on, the United Nations adopted the ILO conventions and made the organisation one of its principal specialised agencies. The International Labour Organisation has come a long way since it adopted its first convention in 1919. Though not as radical in its outlook as the socialist campaigners for its creation wished it to be, and despite the compromises forced by conservative powers when it was established and also later on, the ILO has served the world of workers extremely well. Its accomplishments were summed up in the citation for the Nobel Peace Prize it won in 1969 for promoting peace and fraternity among nations, defining decent work as a labour right and providing assistance to developing countries. The ILO has been promoting social justice through a system of tripartite consultation among governments, employers and employees that is unique to it. As its director general said in a centenary message, “when governments, employers and workers are able to come together doors open and social justice advances”. The ILO is one of the three world bodies created after the First World War (1914-1918) that changed the map of the world. Three great empires — Austro-Hungarian, Russian and Ottoman — collapsed, the October Revolution in Russia shook the world, and Western leaders were persuaded to think of saving the world from large-scale slaughter by addressing some of the causes of conflict among the imperialist powers. These three bodies, the League of Nations, the International Court of Justice, and the ILO, were created under the least controversial clauses of the Treaty of Versailles of 1919. The ILO has come a long way since it adopted its first convention on hours of work (eight hours a day, 40 hours a week) in 1919. By the end of 2017, it had adopted 189 conventions on various labour rights. It is useful to observe Pakistan’s interest in ratifying the ILO conventions. Fifteen conventions were ratified between July 1921 and August 1947 while Pakistan was part of the British colony of India. Nine conventions were ratified between August 1947 and 1958 by the much-maligned political leadership. The Ayub regime (1958-1969) ratified six conventions, and only six were ratified over the next 47 years (1970-2017). However, Pakistan has accepted obligations under the eight fundamental conventions: against forced labour; on the right to unionise; on the right to collective bargaining; on equal remuneration; on the abolition of forced labour; against discrimination in employment/ occupation; on minimum age; and against the worst form of child labour. While the state has never fully implemented these fundamental conventions and the unions have been agitating for due compliance, there are quite a few conventions out of the 62 Pakistan has not ratified that are of considerable importance to our workers. These conventions are: the three conventions on the medical examination of young persons in industrial, non-industrial and underground work; on labour clauses in public contracts; protection against radiation; rural workers’ organisations; on pollution-free environment; on social security, for safety and health in construction, in agriculture and in mines; for home workers and domestic workers; workers in fishing; prevention of major industrial accidents; and the three conventions on fixation of minimum wages. The regrettable fact is that except for the Nur Khan labour policy of 1970, and the few labour-friendly enactments made during the early part of the Bhutto government (1971-1977), no government in Pakistan has tried to even match the laws made and policies adopted by the colonial rulers. On the other hand, successive governments have curtailed labour rights. The system of tripartite consultation among government, employers and employees has been undermined. One often wonders whether Pakistani workers in factories and agriculture are considered full citizens of the state, equal in dignity with other classes. Since 1998, the ILO has been implementing its Declaration on Fundamental Principles and Rights at Work that requires member states to respect, promote and realise freedom of association and the right to collective bargaining, elimination of all forms of forced labour, abolition of child labour, and elimination of discrimination in respect of employment and occupation. These four fundamental principles of policy ought to define Pakistan’s labour agenda. 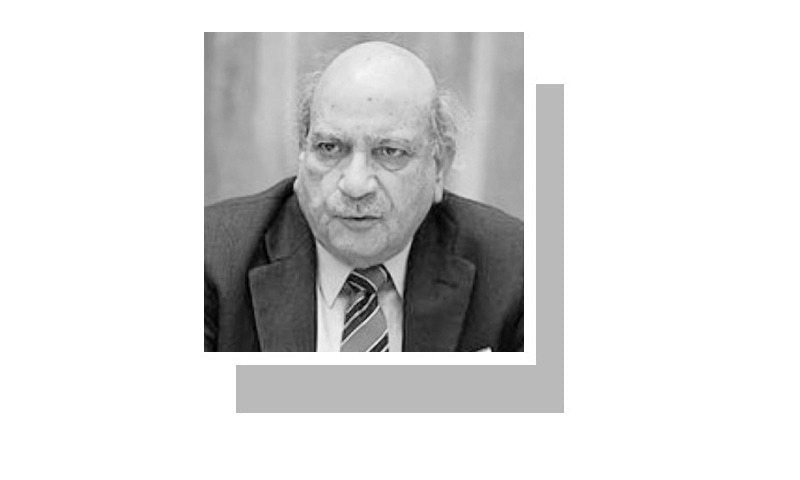 The need for giving labour a fair deal cannot be ignored at any time but it has acquired special significance in the context of Pakistan’s current economic woes. Without a contented labour force, the country cannot benefit fully from the GSP-Plus status granted by the European Union, nor can it ensure success of its plans for growth and development with the resources offered by friendly states. Above all, a large proportion of the population will continue to be denied the rewards of freedom they are supposed to have won 70 years ago. PS: If the provincial governments responsible for labour are short of ideas for workers’ uplift they may take a look at the legislative and policy measures adopted by the government of Sindh over the past 14 months. The International Labour Organisation has not come far enough since it adopted its first convention in 1919. The Triangle Shirtwaist garment factory fire in 1919 changed everything for labor unions in America. Along with the United Mine Workers union - the merger of two old labor groups, the Knights of Labor Trade Assembly No. 135 with the National Progressive Miners Union. _ Pakistan's mine workers and garment workers have never been unionized. The New York International Garment Workers Union changed the playing field much much more in 100 years. If people literally do not fight for unions they will not have unions. I just wonder why governments are so keen to ratify everything proposed at international fora when they are least interested in implementation of anything..